Today, in our article about Trinity Solar reviews, we look at what actual customers say about them, common praises and complaints, and whether or not you should work with them. 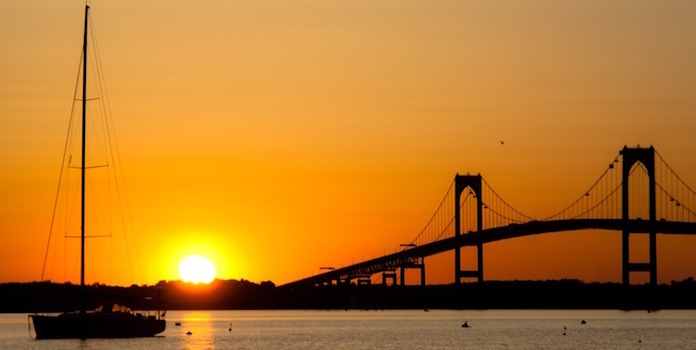 Trinity Solar is a family-owned solar financier and installer working in six states throughout the Northeast, including New Jersey, Maryland, New York, Connecticut, Rhode Island, and Massachusetts. Founded in 1994 as an AC/heating company, they shifted focus to solar in 2004 and now employs over 1,000 individuals. Trinity offers cash purchases, loans, solar leases, and power purchase agreements (﻿PPAs﻿), as well as a unique financing offer they call “same-as-cash.” With this option, they’ll install your system for no money down and you pay the loan back in 6 to 12 months. The cool part about this offer is that they actually charge you no interest. This allows you to avoid that huge upfront payment and break it down into more manageable (albeit still high) monthly payments without any additional fees. Pretty sweet offering if you ask us. However, financing options, the number of employees, and level of experience don’t matter if a company can’t provide great customer experiences. Let's take a look at actual customer reviews to see if you should really work with Trinity Solar. First, let’s take a wide look at Trinity Solar’s rating on a few different review platforms to get an idea of how customers feel (review numbers current as of September 2017). As you can see, a whopping 44% of reviewers gave Trinity Solar absolutely zero stars. Reviews of solar installers typically follow this dichromatic pattern, with people handing out either 0-star reviews or 10-star reviews. For the majority of installers, however, most reviews fall on the positive side. I’ll be honest, this rating is somewhat alarming. Let’s take a look at a few more platforms to see what other reviewers say. In contrast to their Best Company score, 60% of reviewers on Solar Reviews gave Trinity Solar 5 stars, denoting an ‘excellent’ experience. What’s going on here? How can reviews be so bad on one site, but so great on another? Let’s think this through. 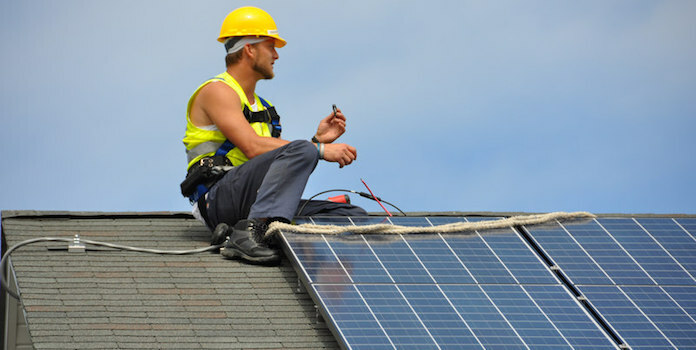 Solar companies that work in several states, by necessity, have to hire numerous sales, support, and installation crews to cover that wide area. Remember how Trinity Solar has 1,000 employees? Well, some of those employees are great, and others are not so great – just like in any business. Great employees can handle problems easily when they come up, a frequent occurrence in the solar industry. Unmotivated employees or employees in disorganized organizations can lack the skills, training, or interest to fix problems quickly, and projects can often sit for weeks or months without being touched (trust me, as a former project manager at a national solar installer, I know what goes on behind the scenes). How do you know if you’ll have a great experience with a solar company? You need to learn everything you can about your local branch, as they’re the ones you’ll actually be dealing with. There are a couple ways to do this. The best option is to talk to friends or family who’ve worked with that branch before. Face to face recommendations are almost always a safe bet. If you don’t know anyone who’s worked with Trinity Solar, or any other company before, the website Yelp allows users to review not just the company as a whole, but individual branches as well! Let’s take a look to see what people say about local Trinity Solar branches. First, there’s simply not enough reviews to come to any useful conclusions. It’s good for a little bit of insight, but we really can’t base any decisions on these. Second, upon reading the actual reviews on Yelp, we discover that many reviewers never even worked with Trinity Solar. They only gave poor reviews for disrespectful and annoying sales tactics via phone or door-to-door. This obviously doesn’t bode well for the company as a whole, but it should be noted these reviewers are not actual customers of Trinity Solar. Even still, these reviews are a definite red flag. It’s of course a small sampling, but there’s not even one positive review in the whole lot! As mentioned before, reviews of Trinity Solar follow the pattern that most solar installers fall into – an almost balanced mix of really positive reviews and really negative reviews. Typically, you just want to see that more customers have had great experiences working with the company than negative experiences. In the case of Trinity Solar, that’s simply not the case. But before we decide how we feel about them, let’s look at what individual customers are saying. Trinity Solar installers were professional, informative, and helpful. The office called to ask if I’d like to move up my install date due to a cancellation which I appreciated. The installers arrived, introduced themselves and came ready to work. Very little noise. While they installed the racking system, the electricians worked in the attic and garage. Very easy process over 2 days. No mess. Very friendly and happy crew. Installation took 1 full day [and] they even added support beams in my attic for the roof. They left the premises spotless. The install team were all very professional and a pleasure to work with. I recommend the company highly. Other reviewers praised their salesperson or project manager, but those were a bit spotty. Overall, Trinity Solar is able to bring good installation practices to the table. Now let’s move on to complaints. By far the most common complaints revolved around aggressive and shady sales tactics (specifically, the old ‘bait and switch’). That’s not all, though. As mentioned in our summary of Yelp reviews above, some people hated the sales harassment so much that they went online just to leave a negative review – after only a 5-minute discussion on their front porch! Other reviewers mention Trinity Solar’s general disorganization. I feel we were given the bait and switch tactic. We signed, they installed, and then they sent us a new contract with their new finance company. They said it was the same thing. I was on vacation and tired of them bugging me about it so I was foolish and just signed the new agreement. It is NOT the same as the original. We got screwed. Two trinity solar salesmen came to my door to solicit solar energy on 12 May 2017. They were rude and aggressive in their sales pitch and general manner. They would not take “no” for an answer. If they ever come to my door again, I will call the police. While their installation practices are good, it looks like Trinity Solar has some serious problems they need to work on. We’ve looked at overall review scores and dug into the individual reviews, but Trinity Solar still isn’t faring too well. Before passing judgment, let’s look at one final component to our mega-review of Trinity Solar: how do they compare to other installers? Unfortunately, it’s just not looking too good. Let’s compare them to the two biggest residential solar installers in the US, Sunrun, and SolarCity, on the review platforms above. Looking at the above reviews, you can see that – besides one – Trinity Solar sees lower reviews than the other installers on both platforms (though beyond Sunrun’s fantastic Best Company review score, they’re all pretty low). More than anything else, this really shows the poor customer experience prevalent across the solar industry in general. But even with these low scores across the board, Trinity Solar is right in there with the pack, or even lower. I don’t know about you, but I think I just cemented how I feel about Trinity Solar. #6 Should You Work with Trinity Solar? First off, I don’t like to disparage any solar installer. As a former installer and project manager at several installation companies, I know that installing solar can be a messy, complicated experience involving dozens of people for just a single project. That being said, however, there are companies out there with the right experience and training to be able to roll with the punches, stay flexible, and still provide great customer service. The reviews for Trinity Solar are simply stacked against them. There are too many negative reviews and too many stories of truly awful sales tactics to warrant us giving them a thumbs up. If you’re looking for big installers in the Northeast, check out other companies like RGS Energy that work in the same general areas and see much better reviews. Better yet, talk to friends and family with solar to see who they worked with and if they had a great experience – you might find a company you’d never have heard of otherwise! We obviously hope Trinity Solar can get their act together and start selling and installing quality systems, but in the meantime, you might want to look elsewhere.